Roberto Clemente's legacy as one of baseball's greatest players was honored in Friday's Google Doodle in the spirit of Hispanic Heritage Month in the U.S.
Clemente, who was born in Carolina, Puerto Rico, on Aug 18, 1934, grew up in Barrio San Antón and figured out about his athletic gifts at an early age. His professional career began in 1952, when he signed with the Santurce Cangrejeros (Crabbers), a winter league team in the LBBPR (Puerto Rico’s Baseball League) at the age of 18. Google Doodle on Friday honored the first Latin American player enshrined at the Hall of Fame in Cooperstown, New York. "A testament to his unique athletic ability, the right fielder accumulated numerous accolades during his pro career including 12 consecutive Gold Glove Awards, 4 National League batting titles, 3,000 career hits, the 1966 National League MVP Award, 2 World Series rings, and the 1971 World Series MVP Award. In fact, it was on this day in 1971 that Clemente’s performance led the Pittsburgh Pirates to victory against the Baltimore Orioles in Game 3 of the series, ultimately contributing to their Series title," Google wrote. 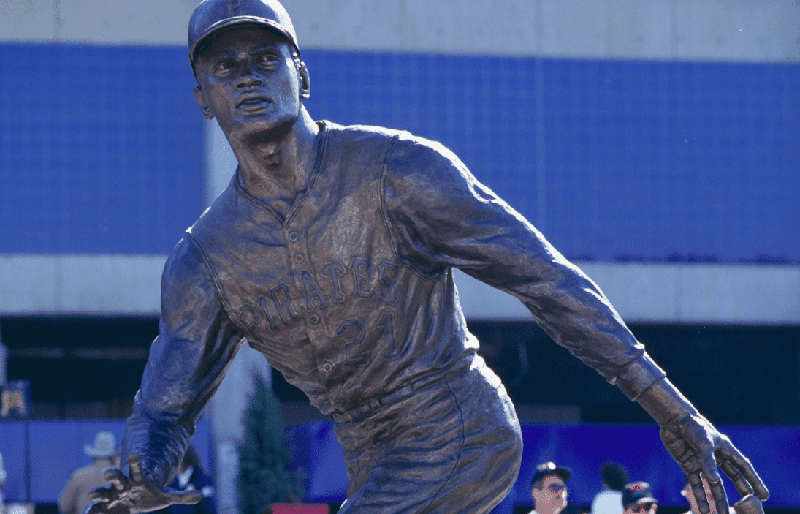 Clemente died on March 20, 1973, and just a few months later he was inducted into Baseball’s Hall of Fame, becoming the first Latin American and Caribbean player to be so honored. He also received the Presidential Medal of Freedom, the Roberto Clemente Walker Congressional Gold Medal, and the Presidential Citizens Medal posthumously. Here are some quotes from the baseball great, courtesy Brainy Quotes. 1. "If you have a chance to accomplish something that will make things better for people coming behind you, and you don't do that, you are wasting your time on this earth." 2. "I am convinced that God wanted me to be a baseball player." 3. "I loved the game so much that even though our playing field was muddy and we had many trees on it, I used to play many hours every day." 4. "If I would be happy, I would be a very bad ball player. With me, when I get mad, it puts energy in my body." 6. "Baseball has been very good to me."